Why to start from Vézelay ? 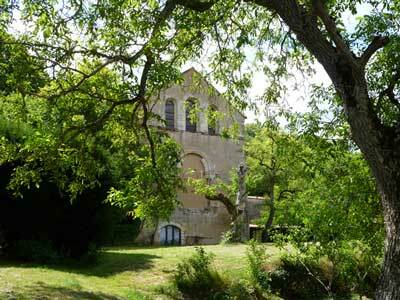 In France, it is the first Franciscan community place. It also appeared to us as a symbolic starting point, in as much as it is for Compostelle and because Vézelay is a spiritual, cultural, artistic beacon. François of Assise never came to Vézelay; he probably would have, given his love for France, hadn’t he been stopped in his impetus by the Cardinal Hugolin de Segnis, first protector of the Order, according to his biographers. In fact, at the general Chapter of Whitsun (1217), the brothers had decided to disperse and travel all over the world to announce the Good News. “In the name of our Lord Jesus-Christ, of the glorious Virgin, his mother and all Saints, I choose France” St-François had said to his brothers; “it’s a catholic nation that, among all the other catholic nations of our saint Church, witness the most respect for the body of our Lord, and nothing could be more pleasant to me”. François – whose name is a nickname given by his father (the little French) – has always been rocked by a boundless admiration for France, this far away land that the wealthy fabric merchant Bernardone, his father, was visiting to sell his fabrics, and from where he was returning enriched not only with money but also with poems about chivalry that he was taking great pleasure in teaching to his son. That’s how François learnt, like a game, words of this unknown, strange language. France : dreamland… Alas, never could he walk up to there; indeed, of our country, he possibly discovered only Provence, Languedoc and Roussillon, according to a legend that says Saint-François and Saint- Dominique met in Perpignan. So François never came to Vézelay; yet, no doubt that he would have loved this hill, its luminous basilica, impressive beacon of the Christian West, meeting point of the pilgrims to Saint-Jacques of Compostelle, rendez-vous of the famous crusaders. Hadn’t Saint-Bernard, at Easter 1146, in the name of Pope Eugène III, made a speech, in the valley facing Asquins, that was received with enthusiasm by the numerous knights ? Didn’t Richard Coeur de Lion and Philippe Auguste meet there in 1190 for the third crusade ? How many pilgrims met there every year over the centuries to cry over their sins at Jesus feet to receive the assurance of His forgiveness, like Marie-Madeleine ? How many implored Marie de Magdala’s intercession to obtain the freedom of their relatives in a Europe where war was everywhere : between lords, between kings, against the infidels ? François loved Marie-Madeleine, forgiven sinner like him, loving Jesus, always attentive to His words, patron saint of the contemplatives as well as the missionaries, sender among senders, apostle of the apostles, perfect ecclesial figure. It is known that he enjoyed retiring in ermitages and preach to humble ones powerful ones alike. Many a chapel dedicated to Marie-Madeleine (leper hospital of Assise valley, Fonte Colombo where he wrote his Rule, l’Alverne where he received the stigmats…) has been erected close to landmarks of his life. Beacon, attracting place for the brothers”strangers and pilgrims”…if François never came to Vézelay, his brothers chose that place to establish their first convent in France, according to the tradition. Certainly charmed by this “Ombrian isle in Burgundy” as many pilgrims describe it, brother Pacifique, king of the poets, crowned by Frederic the Emperor, and brother Louis asked for a place to settle. They first stayed at “la maladrerie”, then settled at the Saint-Fiacre ermitage and Sainte-Croixchapel, erected in memory of Saint-Bernard speech. Perfect place, in the outskirts of the village, along the pilgrims path near Asquins, perfect place for lecturing.One can imagine them settling like the cuckoo in someone else’s nest,at “La Cordelle”; it was becoming a habit for the brothers since they had been chased from Rivo Torto and offered by the rich benedictins of Mont-Subiaso, “la Portioncule”, little chapel dedicated to Our-Lady, later to become the mother-church of the Order. Actually, the brothers had chosen not to possess anything, always counting on the Siège apostolique’s protection; that’s why they asked for a place to stay to the benedictins more than once. But the latter, jealous of the franciscains success in predicating, started being suspicious. Actually, after the success of Saint-François of Assise, with his stigmats and beatification faded away, the clergy, even some bishops started becoming envious and jealous and demanded the Franciscan brothers to swear fidelity , going as far as nominating them themselves.